This Riviera Hotel wedding was just stunning from beginning to end. Taryn and her girls got ready in a room specially set aside for them by Darin from the hotel. They provided snacks and champagne. Team Hair and Makeup worked on all of the girls. It was a wonderful buzz of energy in the room. 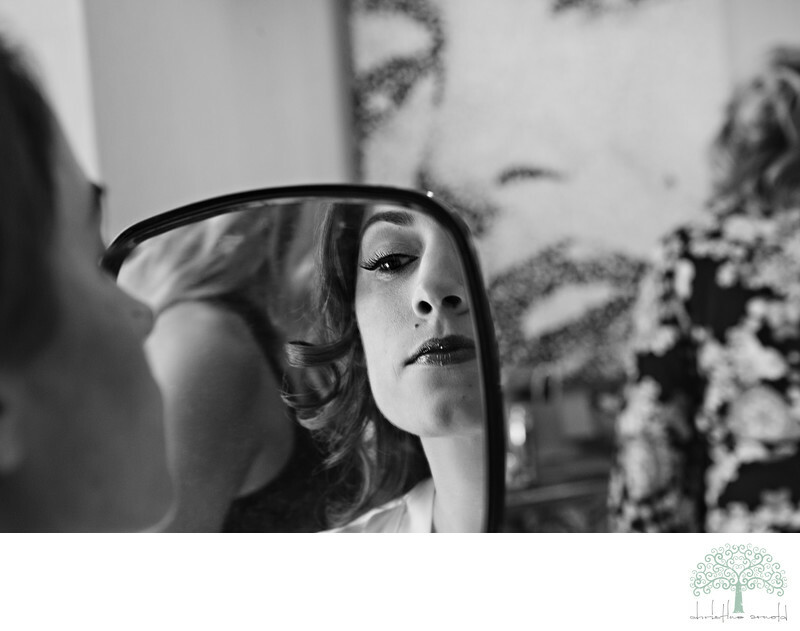 This image is Taryn checking the finished product, I love the juxtaposition of her partial face along with the partial view of the Marylin Monroe artwork in the background. Both with the ruby red lips and dramatic eyes. I like it in black and white because it takes away any other distractions in the image and forces you to focus on double image. Location: 1600 N. Indian Canyon Dr. Palm Springs, Ca 92262.